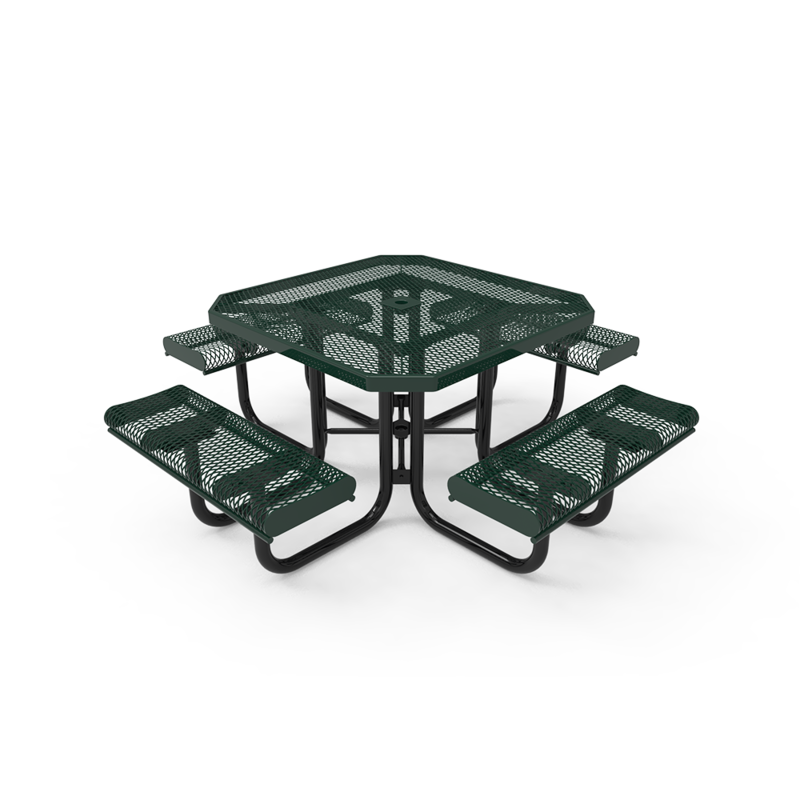 Furniture Leisure's Elite Series 46" Octagon Thermoplastic Polyethylene Coated Picnic Table combines comfort and durability, creating a bench that is perfect for parks, landmarks, and schools across the nation. 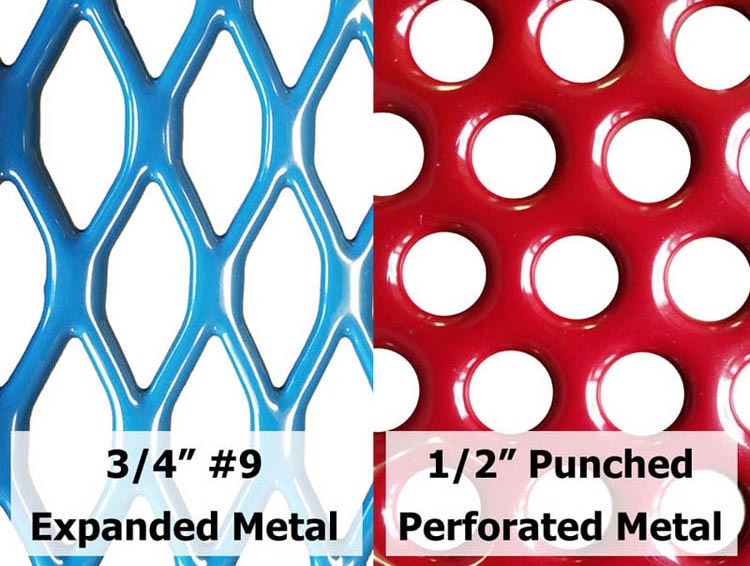 The stylish tabletop/seats are manufactured from commercial grade 3/4" #9 gauge expanded metal or perforated 1/2" punched steel. 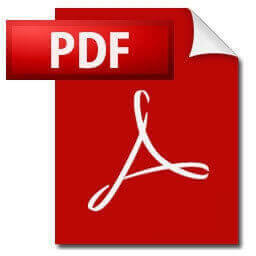 For support a 2 3/8" powder-coated steel frame is used which utilizes a 1" cross brace for extra strength. 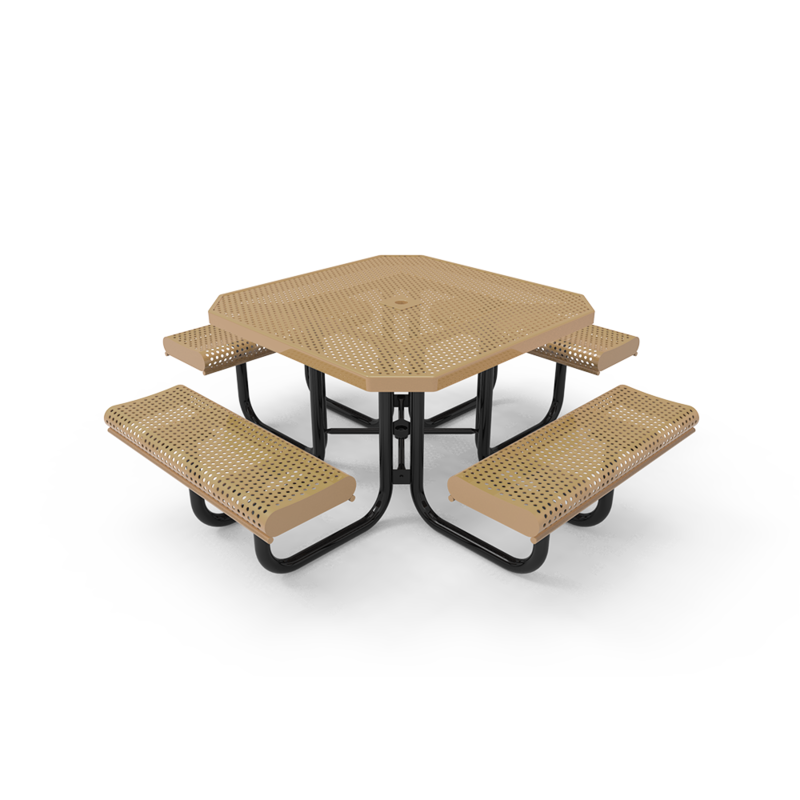 Adding additional protection against fading, rusting and chipping the Elite Series thermoplastic polyethylene coating is applied to both the tabletop/seats. This product is made in the USA, comes in a variety of color options for both the tabletop/seats/frame and is covered by a 5-year commercial warranty. Departs the warehouse in 3 - 5 business days.